The place to go for Mercedes-Benz parts is UNeedAPart.com. UNeedAPart.com is one of the internet's largest used auto parts locator services, so if you are in need of new or used Mercedes parts, allow us to help you in your search. Best of all - our service is FREE! When you submit your request for Mercedes-Benz parts or accessories, our service searches a nationwide database of over 7,000 parts dealers. Once we match your request with the dealers who carry your desired Jeep part, you'll receive an email containing multiple quotes from each dealer. Discounted Mercedes Parts - All Models! UNeedAPart.com will not only save you time, but money as well. 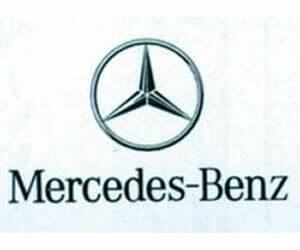 If you are looking for discount Mercedes-Benz parts, UNeedAPart.com is the place to go. Our nationwide dealers offer the most competitive prices and our service allows you to comparison shop for the best possible deal. Finding the right Mercedes parts is easy! To get started, simply use the Parts Request boxes at the top and/or side of the page. You will instantly be matched with auto parts dealers that meet your search criteria. UNeedAPart.com helps you find the new or used auto parts you need in no time.